We have to get it right! What if the coach of a basketball team let eight or nine players play at a time? Or let them shoot into both baskets? Have you ever seen a baseball game where the batter could swing at as many pitches as he wanted to until he got a hit, or keep running the bases after she was tagged out? Would a band director let the trombones play the flutes’ score if they liked that music better? These are all absurd situations. The rules of various sports are clearly defined, and the game has to be played by those rules. A band or orchestra has to play the score pretty much as it was written, or cacophony would result. 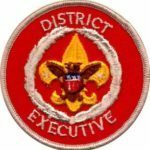 So why do some Scouters fail to understand how a troop works, or disobey the rules because they think they know better? Scouting is a game. It’s just as much a game as a football or basketball game, where the players learn the skills, prepare through practices and then play the game. In Scouting, we don’t always have an opponent, but the players – the Scouts – learn the skills they need to know, practice teaching and learning those skills and prepare to use those skills at troop meetings, and put their planning and preparation to the test on game day – the monthly campout. There certainly are no losers in the game of Scouting and participants are winners in the sense that the aims of Scouting are achieved. The outcome of our game is not posted on the scoreboard or listed in the newspaper’s sports section, but is measured in terms of advancement, experience, leadership and the fun of adventure. In that sense, the results of the game of Scouting are much less tangible and somewhat harder to see and understand than the outcome of a sporting contest, but they are there if you are careful enough to observe what’s really going on. Some adults improperly take over and wrest that control away from the boys where it rightfully belongs, and this is where we fail them. 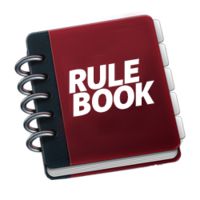 Just like any other game, it has to be played by the rules, and in Scouting, those rules are pretty well defined. The Scoutmaster Handbook (soon to be replaced by the two-volume Scout Leader’s Guidebook) is our primary rule book, though there are many other publications that guide our actions. And just as coaches and referees attend training on the fundamentals of their game, our equivalent is Scoutmaster position-specific training and Introduction to Outdoor Leader Skills, both of which are essential for any Scouter who works with the boys. Roundtable reinforces the lessons learned at training and gives Scouters ways to apply the program right now in their units. Wood Badge takes the learning experience a step further by challenging adult leaders to up their commitment to Scouting. Any Scouter who doesn’t play the game by the rules is cheating his Scouts out of the very thing they joined Scouting for – to have fun in the outdoors with their friends. Their parents may not have realized it at first, but Scouting instills the values of the Oath and Law, teaches their sons how to lead and be self-sufficient, and exposes them to a spectrum of experiences and subjects that they could never encounter in any other youth program. It’s absolutely imperative that we Scouters get it right, for the good of the boys and the trust of their parents. We must have a clear understanding of the program and our role within it. When we depart from the program, try to do Scouting the way we think it ought to be done, and take control away from the boys, we no longer have a Scout troop but a glorified adult-run outings club. An untrained Scouter is a liability to our movement that we cannot afford, regardless of how well-intentioned he or she may be. Spot on, Frank! I’ll use this great analogy at the next parent’s meeting. Thanks for taking the time to write this piece. Next PostNext What are you asking your committee?